I figured there'd be a fan ideas section. So here's my concept. Keep in mind that I am not an artist, so please bear with my infantile scribblings. They're mostly meant just as visual aid, some imagination is required when viewing. Wolf mode picture by Pockies. Role: I guess... support.../brawler...? I don't really speak MOBA, whatever he sounds like from his description. He's a dual-role character. Background Info: Here's a goofy little story. I used references from Awesomenauts lore at random. Obviously, it can be tweaked to fit more appropriately. Despite his status amongst his peers as one of the top minds in the profession of SCIENCE!, Dr. Talbot's work and research seems to go largely underappreciated at Zork Industries. With business in the AI Wars booming, it seems advancements in the non-weaponized fields just aren't turning corporate heads. "Sorry Doc, you're gonna have to make due. We can't spare solar for your little experiments." Oh sure, when it comes to hiring Awesomenauts, there's funding; plenty of it. It's not a total loss. Dr. Talbot has resigned himself to acquiring materials through less luxurious manners now. 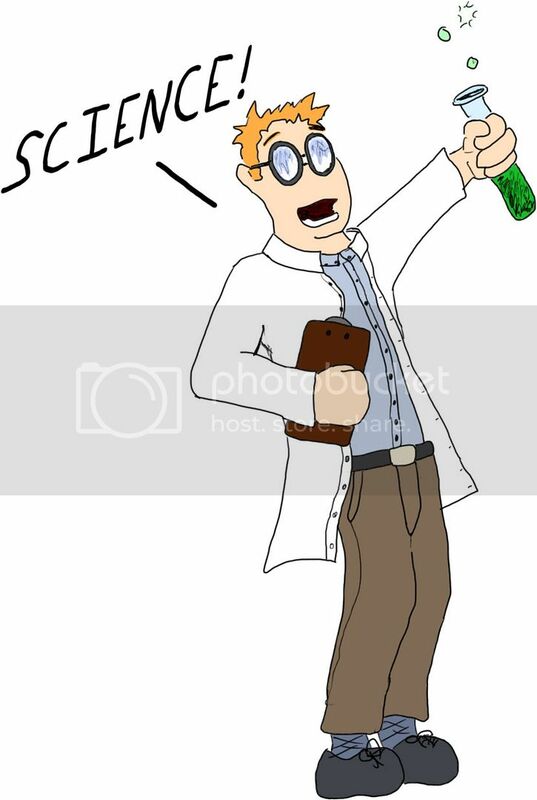 ScienzeStuffz.com may not be the most prestigious suppliers of all things SCIENCE!, but beggars can't be choosers. Not to mention, 30% off all beakers when you input the coupon code: "MeepMeep." Who could pass up those deals? There was the occasional mishap; not totally unexpected, as they say, you get what you pay for. While working on a cure for Lupus, Dr. Talbot's order was processed incorrectly. Rather than his blood sample from a patient with the disease, what he actually received was a blood sample from the first discovered Lycanian referred to as "Lupus." The resulting chemical reaction induced a temporary but violent shift in Dr. Talbot. No lunch meat, shoe, or hydrant was spared that night. When he awoke from his state of blood (and science) lust, he had formed two hypotheses. First, by joining the Awesomenauts, Talbot could both ensure the future funding of any experiment while enacting his revenge upon the mercenaries at the same time. And second, that his new werewolf elixir was the perfect weapon to bring to the battle. Style: Dr. Talbot begins as a typical, yet intelligent human. His speed is average, most likely leaning towards below-average. He has very little health, and his basic attacks are not powerful. 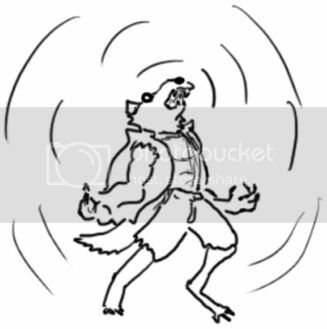 When he ingests his Lupus compound, he transforms into his werewolf form, gaining more max health and immediately healing by the new difference. His moveset is different, and he gains a general increase in all stats. This power is limited and temporary, as is explained in his skills. Talbot's first jump is a short hop, on par with Lonestar's. 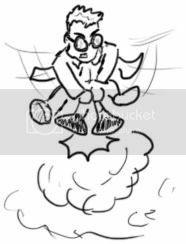 Pressing Jump again in mid-air will cause him to smash two flasks together below him, resulting in a small explosive reaction which propels him higher. Dr. Talbot hurls a flask of an indeterminate, viscous liquid at his foes. The arc is similar to Lonestar's dynamite throw, but has a fixed distance, which is about half the total distance of the TNT. The flask shatters on impact, doing slight damage. The attack speed is not very fast, probably around the speed of Clunk's missiles after one or two speed upgrades. Explosive Compound- Creates an explosive chemical reaction upon impact, resulting in splash damage. Acid Compound- Creates a puddle on the floor which lingers for a few seconds after impact, doing damage to enemies who walk through it. Selective Aloe- Has healing effects when thrown at allies. Weighted Flask- Increases throwing range of bottles. Talbot will remain in his werewolf state for a base time of maybe 15-20 seconds. 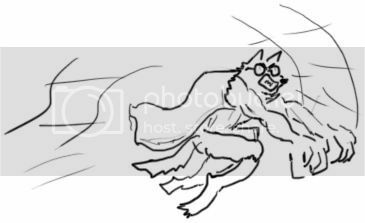 Talbot will run faster, hit harder, and his attack as well as both skills will be replaced with Wolf Combo, Pounce, and Howl respectively. There is also the possibility of running along walls or at least sticking to them. When the timer runs out, Talbot reverts back to his human form, resulting in a short moment of immobility followed by, I can only assume what should be the longest cooldown in the game thus far. Perhaps a mechanic similar to Gnaw's seedlings which requires him to achieve certain circumstances before being able to transform might also be required, so that he cannot immediately transform upon respawning. I think the time limit, delays before & after transforming, and long cooldown are enough though. Quick-Mix Stirring Rod- Decreases delay of mixing/transformation transition. 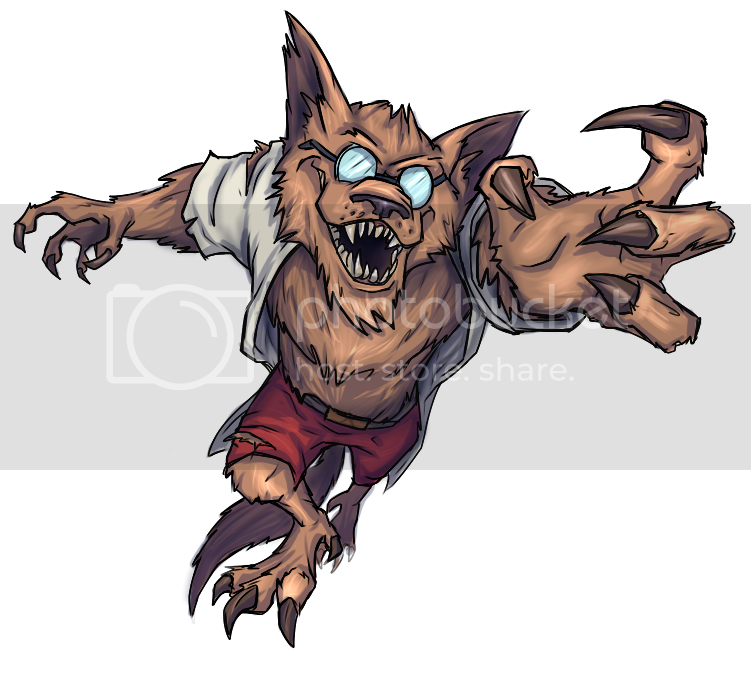 Wolfsbane Chaser- Reduces cooldown time. Extra-Large Beaker- Increases the duration of werewolf state. 1. Healing Elixir- a short delay to mix, then drink a formula which regenerates a measure of health over a period of time (similar in an inverse manner to the way Gnaw's poison drains a measure of health). This seems rather simple and uninspired to me; I feel like something more interesting could be done here. 2. Chemical bomb- Sets down a beaker over a Bunsen burner which reacts, detonating a few seconds later, like a proximity mine with a timer. A neat idea I think, but perhaps too similar to Yuri's mines or Derpl/Raelynn's traps. To differentiate it, it could possibly have a large splash damage with potential lingering chemical effects, but can only be detonated by time. Maybe a possible upgrade could be allowing detonation by throwing a flask at it. I believe this one is the better choice. A high jump, like Leon's. Talbot attacks with a three part combo consisting of two alternating claw slashes followed by a snapping bite. I figure each attack will have a more consistent speed than Skolldir's combo (less of an increased delay between 2nd and 3rd strike), but less ramped damage per attack in the chain. Fairly quick, decent DPS, can be done on the run like Leon' slashes or Gnaw's bites. Talbot takes a quick leap forward a short distance, slashing downward in the process. Useful for pursuing, escaping, mobility, and supplementing combos. Talbot throws his head back and unleashes a chilling howl, pushing back all bots and 'nauts around him a short distance while also applying a mild slow effect. It affects a radius around him similar to Clunk's self-destruct, but pushes similar to Lonestar's Bull. Talbot will also be immobile for the entire move. Megaphone- Increases radius of howl. Sharp Tongue- Howl will damage enemies. Dirty Mouth- Adds silencing effect to howl. What I think makes this character interesting is the duality of his styles. While certainly a better fighter when in his wolf mode, his human mode isn't useless. Though his flask toss is severely limited horizontally, it has infinite range vertically until it collides with the ground. This could allow him to be quite efficient in pestering enemies from above, tossing flasks down at enemies his teammates are currently engaged in. 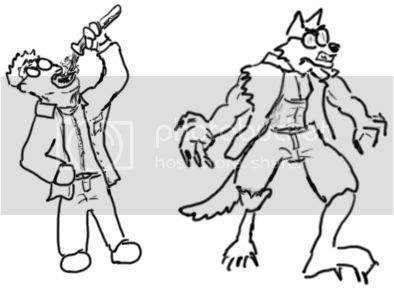 With his skills being shared, it restricts the player from effectively covering two areas at once - they'll be able to make a really good werewolf, a really good scientist, or a decent dual-build, but they won't be able to be both a great werewolf and great scientist at the same time. Also, werewolves are pretty awesome, I think. Science is awesome too. 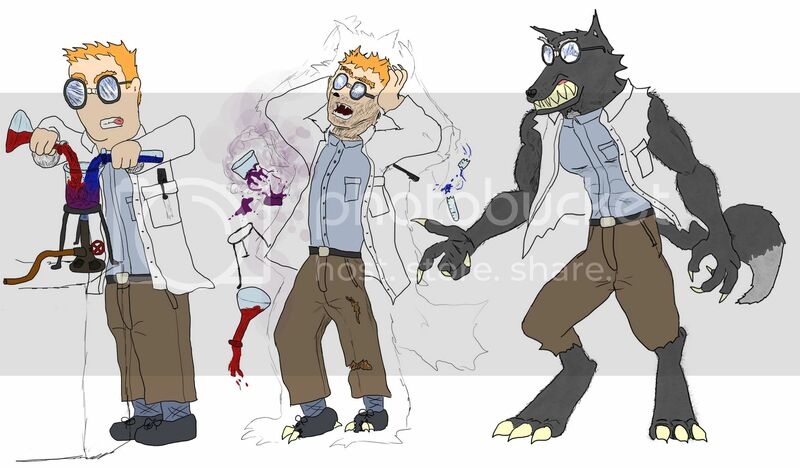 Werewolf Scientist is a concept that I believe is quite appealing. Last edited by Marshmallow_Fox on Thu Oct 03, 2013 3:56 am, edited 1 time in total. Your art skills are a lot better than mine, so don't be so bashful about it. This is a very interesting idea, I like the thought of a more offensive character with two forms. The thing you'll need to be careful of is balancing skill upgrades between the human and wolf forms to make them both useful. If the wolf fore is too much better all around, then no one would take skills to buff the human abilities. I'm looking forward to seeing how he develops. Currently wavering in leagues 2 and 3 though I don't deserve it. Yeah, I mean, he'd definitely be stronger, faster, just an all around better straight-forward fighter in his wolf form. It's not just the balance of shared upgrades that would give merit to both his forms, but the briefness of the wolf form. Even as a total wolf-build, you'll still be spending more or at the very least, half of your time as a human due to the long cooldown, provided you survive it. The ability to make the most of that form while waiting for the transform skill would determine your true ability to use the character. Provided you had dedicated attackers though, you could create a Scientist build that would make for a decent defensive character, while still having the offensive option in your back pocket with the transform skill. It doesn't necessarily feel 80s cartoonish, but the character itself is fleshed out well. Love the idea and the art gives a great idea of the skills. So here's an idea I have for getting the wolf elixir. There will be a bar like a health bar underneath the wolf skill. When you attack bots, creatures or Awesomenauts the bar will grow. When it gets full you can unleash the skill. Note: I do know he said he would have something like Gnaw's weedlings I'm just saying how he should display it. As for the two skills the healing elixir would be great. As long as it does not overpower Voltar's healing it would be nice to have more healing than just Voltar's in the game. Overall I just love the idea. I submitted this guy for the contest. May animate some of his attack animations when I have some free time. Location: It's shaped like a Mitten. Digging this idea, Dr.Talbot has a lot of potential in my opinion. I'd love to sketch him out if he wins. Good luck! Wolf mode picture courtesy of Pockets. She made it a while ago but I forgot to post it. edit: added picture to first post. Great concept! Would really like to play him.